With the enhancing technology; the Android handset has become one of the musts to have accessory in our day to day life. 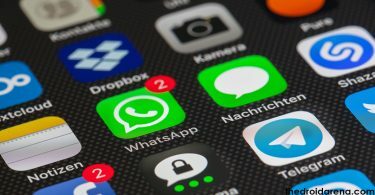 We can’t ignore it at all as it enables us to remain in touch with your friends, family, and relatives along with accessing internet facilities from it as well. 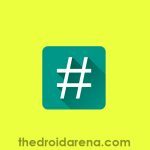 This error prevents you from properly using the various android applications. It is actually a bug which is difficult to remove from your Android device. We are here providing you some suggestions here, to get rid of this frustrating situation with great ease. You can follow the different suggestions given below so that to get the best solution for your problem. Open your home screen and then go to the option of Settings. Once done; now search and select the option of Application Manager. Next, you need to switch on the option of “All” followed by clicking on Telephone. Click on the Telephone option in order to open the app information. Once you have done with it, now check the options; Force stop, Clear data, and Clear Cache to avail the successful working of your android device. Now, restart your handset so that to ensure the successful functioning of the process. Must Read :The Copy of Windows is Not Genuine Error [Permanent Solution*]. Turn off your Android handset by long pressing the Power button. Now press and hold the Power key in combination with the Home button. Just leave the button once you feel the vibration. Once done, confirm it by pressing the Power button which will enable you to delete the cache. 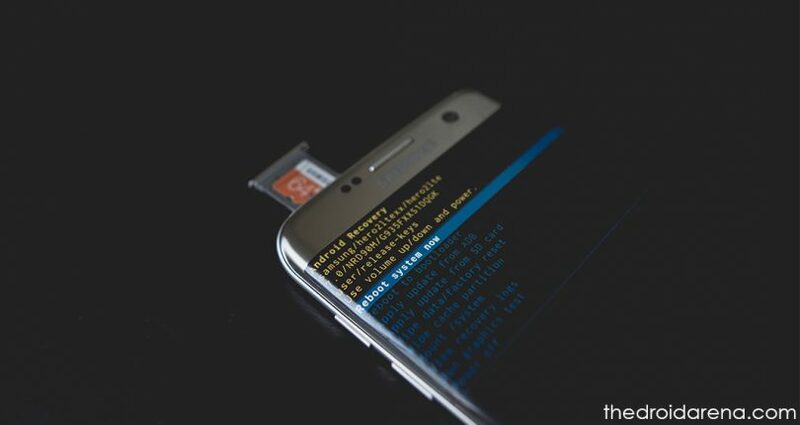 Once you have completed the above process, now check on the option of “Reboot phone” and enjoy the successful and seamless working of your Android handset. 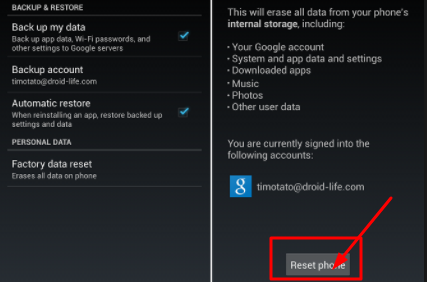 Tweak your android device as you wish and the way you want by following this tutorial. Read More: Download and Install Official Xposed Framework on Android. 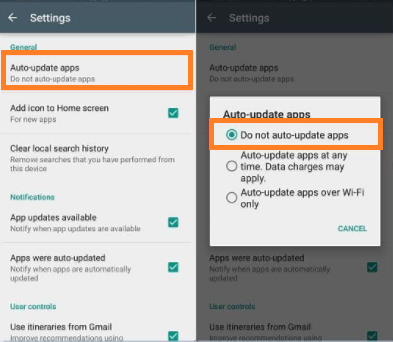 It is one of the simplest solutions to fix the error “Unfortunately the Process com.android.phone has stopped.” All you need to do it is to stop all the automatic updates by pressing on the related option. 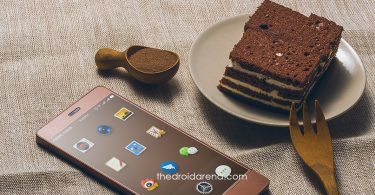 While applying the same; the one thing that you should need to keep in mind is to stop the automatic updates for both phone settings as well as in Google Play Store. It will stop you from consuming extra bandwidth and data usage. The process is helpful not only make your escape from the error but also helps in fasten up your internet speed. 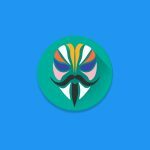 Custom ROM is another best solution for fixing the error “Unfortunately the Process com.android.phone has stopped.” Sometimes a slight change in the operating system helps you a lot. Shut off your android handset normally by pressing the power button. Once done now press and hold the Volume button in combination with the Home Key and the Power button for sometimes. Just all the buttons when you feel the vibration in your Android handset. 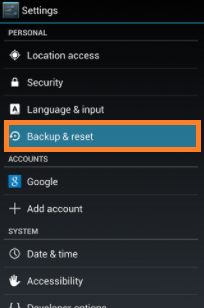 You will see the android logo on your home screen from where you can select the options of backup and Factory Reset. Just create a secure backup for the data that you wanted to save for future use and then select the option of Factory Reset from there. Once done with the process; your phone will get automatically get a restart. On the successful completion of the process; now check that whether the error “Unfortunately the Process com.android.phone has stopped” has been removed or not. 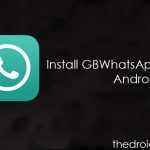 Do you want to download the paid apps for completely free on your android device with out root? Read More: AppValley Apk | Download AppValley App on Android Mobiles/Tablets. “Unfortunately the Process com.android.phone has stopped” is one of the most annoying errors for the android users which do not enable you to access the related android processes. We have provided you some of the best solutions to deal with the problem successfully. Just take help from the above and enjoy the seamless working of your Android handset. Unlock Bootloader and Root Xiaomi Redmi Note 5 / Redmi Note 5 Pro [Tutorial].